network of friends and peers that can help you through the rough spots. In this 5 part series, I will share some tips from my own connections that have helped me over the years in my small business. I think they will help you too! In this 3rd installment of my Small Business Tips series, I will take a look at how You can Use Social Media to Market your business. (If you missed Parts 1 and 2 on finances and hiring, you can find them here and here). Once your business is up and running, You will need to get the word out about what you do and “why”. Now is the time to establish a sound Marketing Plan. This plan should be an outline of how and where you want to promote your business and any budget you can allocate towards that goal. I also believe keeping your marketing in line with your “why” should be at the forefront of that plan. 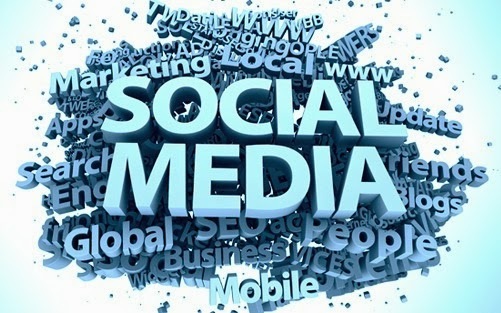 Social Media Marketing ~ Get the Word out on Your Small Business! "Tweet This"
Using Social Media as a part of your marketing plan is more affordable than “traditional” methods (tv, radio, print ads) and can allow you to reach more potential clients. Sites like Facebook, LinkedIn, Twitter, Google+ and YouTube are user friendly and easy to set up. However, the real work comes in with the necessity to keep these sites current, interesting, and relevant. It is crucial that you develop a relationship with your readers. Regularly providing them with new and informational content is key. Social Media Strategist, Jenn Herman (*Source1), is one of my most knowledgable Social Media connections. Jenn writes a fantastic blog, “Jenn’s Trends”, with tips and information to make it easy to understand the ever-changing world of social media. Most importantly, Herman practices what she preaches. She is very dedicated to engaging her readers in a real “give and take” relationship. I think this is a large part of what makes her so popular. Get active on social media ~ My first and foremost tip is to just get on social media. You cannot "opt out" of social media. People are talking about your company whether you like it or not. Ignoring the opportunity to monitor those conversations and control the direction of online conversations will only hurt your business in the long run. If you've been hesitant or are scared to really commit to it, stop! Social media isn't scary. It's an extension of your business and your brand. The most important thing is to just get out there and get active. 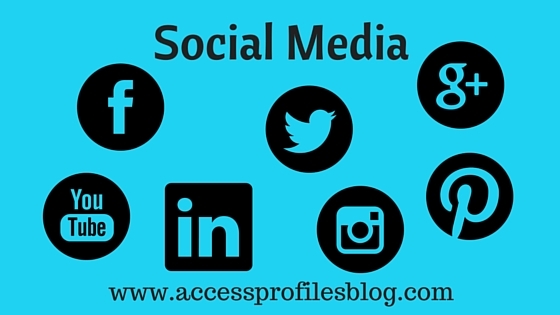 Set up accounts on the social media sites that are best for your company and where you believe your customers to be. Then just start posting. Respond to comments and questions and get active. Be consistent ~ People love predictability and consistency. We are creatures of routine. Social media is no exception, especially as perceived by your audience and customers. It's so important to have a schedule and to be consistent on social media. Your fans don't want to see you posting 4 times a day for 3 days and then nothing for a week. It makes them feel like they're not a priority in your schedule. 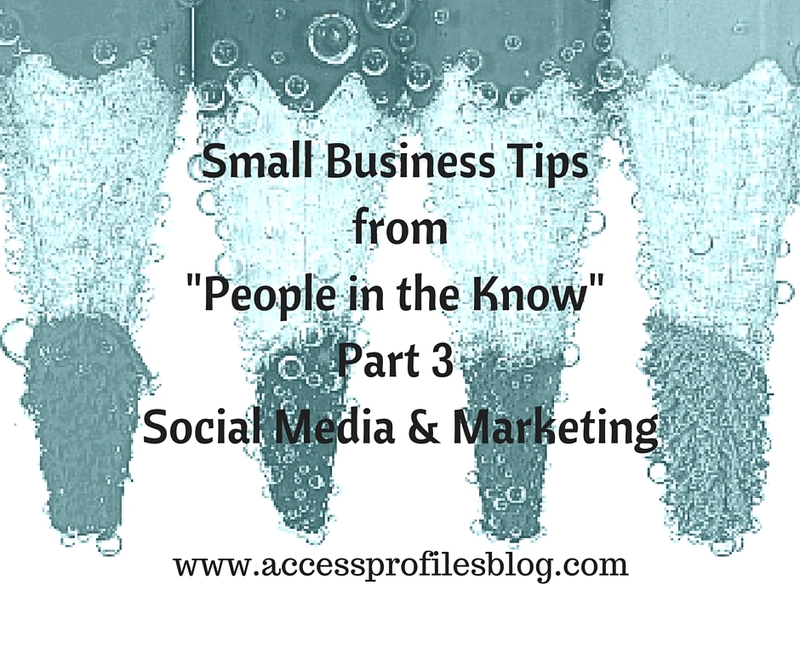 Rather than posting to social media when it's convenient for you, think about your customers. When is it convenient for them? If your fans are online in the mornings, make it a priority to share 1-2 posts every morning. Then check back a couple times during the day to respond to comments or questions. The more consistently you share content and show a commitment to your audience, the more engagement you will receive and the more fans you reach. Be Social ~ It's called SOCIAL media for a reason. I recommend you think of social media like a networking event or cocktail party. In these situations, you would never walk up to a stranger and start hyping up your business, talking incessantly, and bragging about how awesome you are. Instead, you would introduce yourself, talk about the weather, maybe your sports team is in the playoffs. You would get to know more about them, what they do, etc. THEN you might start talking about what you do. It's all about creating conversations and a relationship. Social media should be approached the same way. Talk to your audience. Ask questions, be engaging, respond to comments, share off-topic posts that relate to your audience. Consider the 80/20 (or even the 90/10) rule - only 20 (or 10) percent of what you post should be marketing or promotional. Another favorite connection, Miller Finch of Miller Finch Media (*Source2) also understands the need for Social Media to be “social”. "A major problem that I see with small businesses in their use of social media is the endless stream of promotions and nothing else. It's as boring as watching television commercials and a total turnoff. Local businesses should use their SOCIAL media accounts to be social, helpful, and interesting. Highlight events in the community, showcase their people or processes or customers, but let go of the endless "commercials"." Miller also writes a blog, “Blog and Commentary by Miller Finch”, be sure to check it out! Miller’s company is dedicated to helping you establish your brand online and her motto “Social Media Done For You...Because You Don’t Have Time to Do Everything” says it all! 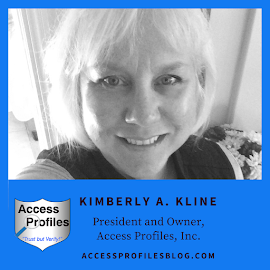 Complete Your Profiles ~ Make sure your social media profiles are completely filled out, and that your website URL is visible in your Facebook profile, your Twitter header, and your LinkedIn masthead. Also make it easy for people to reach you by having your contact info -- phone, email -- clearly visible in these areas or in your About section. Business Logos ~ Business logos should be created both in a horizontal version and a square version. Most social media platforms use a square area for profile pix/logos so it is essential to have your logo in this format. A long logo in a square is cut off at the sides and looks unprofessional. Business Headshots ~ Headshots should be just that -- headshots of the business owner. 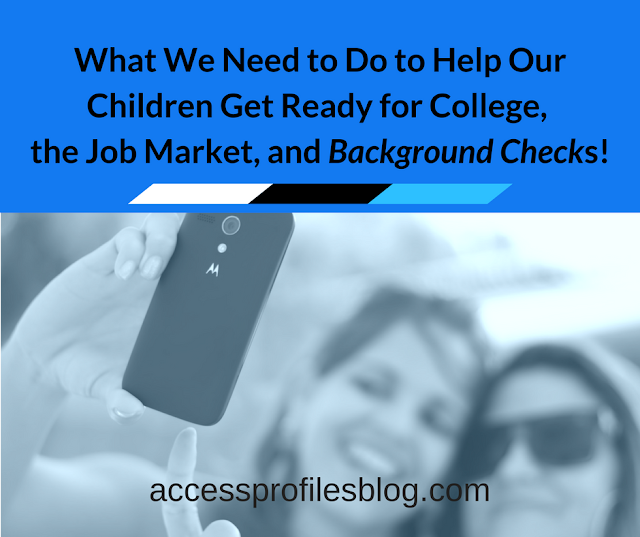 Too often, the profile pic, such as on LinkedIn and elsewhere, is that of the business owner with their kids, spouses, or taken from such a long distance that the business owner is not easily visible. The business owner is the representative of the business, so it's important to have the right profile photo for people to know who they are doing business with. Headshots don't have to be professionally shot, just a good clear and close photo with good lighting will suffice. Mobile ~ Mobile is an essential part of how people use social media, and websites need to accommodate. The purpose of social media marketing is to drive potential customers to your website to learn more about you, but if your website is still "pinch and pull", they lose interest fast. The website of the business is the sun in their marketing solar system. It's the site that the business owns -- we do not own social media platforms -- and as such should have the most attention paid to it by the business owner. This applies even to brick and mortar businesses. Social Media can also be a great way to help other small businesses! By focusing my efforts on helping other small business owners, I hope to start a "Pay it Forward" cycle of success! Discover 4 tips to get you started in "How You Can Use Your Small Business to Pay it Forward"! Getting the word out about your business is essential to its success, and using social media can be a great way for you to accomplish that. For many, this may seem like a daunting task. However, by starting with the tips here, you can be well on your way! for help with Your Small Business! You will also discover more About Us and our Hiring, Small Business Mentoring, and Security Services too! 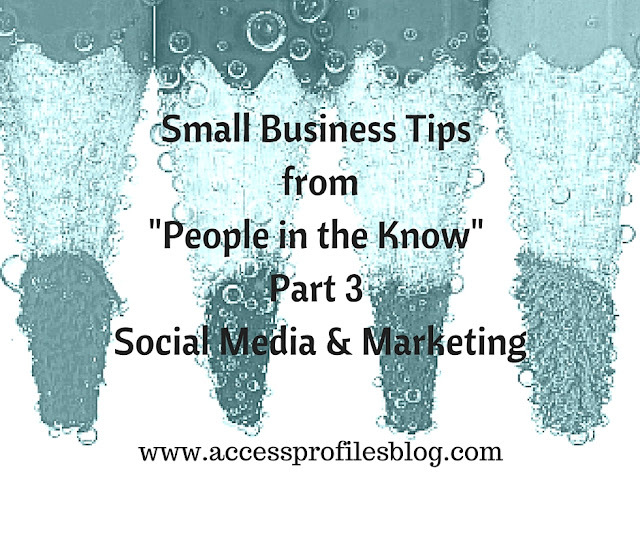 “Small Business Tips from ‘People in the Know’” series. Opening Day, Babe Ruth, and Your Business!